An order for an extra 36 Francilien trainsets has been received by Bombardier Transportation from SNCF on behalf of the Greater Paris transport authority Île-de-France Mobilités (IDFM). Financed by IDFM, the 18 seven-car and 18 eight-car trainsets will be rolled out on lines L, J and P on the SNCF Transilien network. SNCF’s €261 million order has been exercised from a contract signed with Bombardier Transportation for up to 372 trains in 2006. Bombardier Transportation France president Laurent Bouyer said: “This train, specially designed to meet the challenges of the dense and congested Transilien network, has proven its strengths. “Fully adapted to this urban transportation ecosystem, it’s the most reliable fleet operating on the network. These new trains will be equipped with USB ports, more handrails than the stock they are replacing and large panoramic passenger information screens. They feature room for up to 1,000 passengers as well as wide doors and open gangways to increase passenger flow. 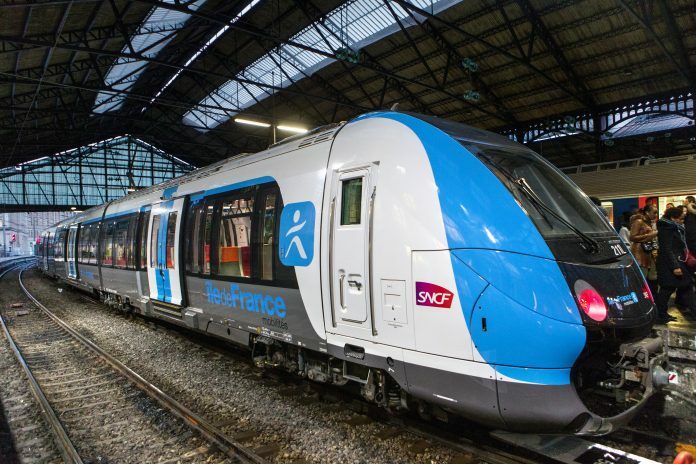 Altogether SNCF will operate a fleet of 313 Francilien commuter trains once they have all entered service.